A new tourist attraction, “Takumi-Kan”, was renovated and opened on September 12, 2014, for tourists to fully enjoy sightseeing in Hida Takayama. 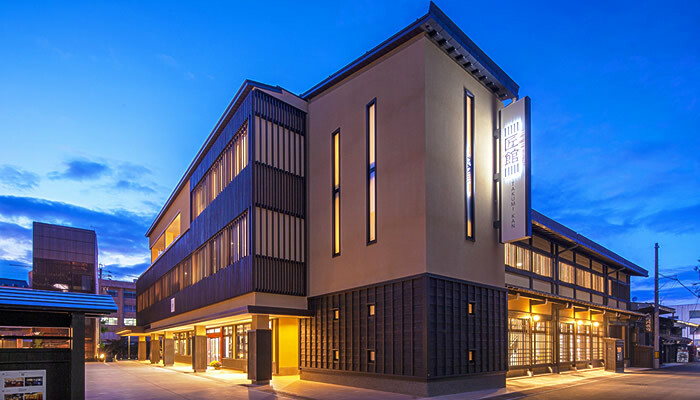 It features an Italian restaurant that uses ingredients produced in Hida (maximum capacity: 150 seats), a showroom for Hida Takayama Furniture, a café with 54 seats where you can take a break, and a shop of specialty goods and craft products manufactured in Hida. The main feature is Italian Restaurant “Artigiano” on the third floor. The main feature is Italian Restaurant “Artigiano” on the third floor. “Artigiano” means “artisan” in Italian. You can enjoy Italian cuisine that fully utilizes local ingredients produced in Hida. On the first floor is “Hida Market”, where you can buy Hida specialty goods that are carefully selected by Takumi-Kan. It also features a woodcraft booth as an annex. It is a shop where you can fully enjoy excellent goods made in Hida, along with "Hida Takayama Furniture, Takumi Design" on the second floor. 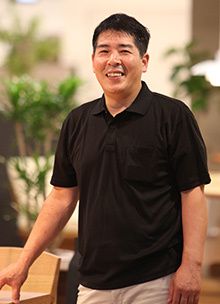 Takumi-Kan's idea is to provide a place where you can rest, dine, and shop at one stop, followed by enjoyable sightseeing in Hida Takayama. The Furniture and Craftwork center “Takumi-Kan”, which closed in October last year, will celebrate its grand re-opening as “Town Station Takumi-Kan” in a fully remodeled style. 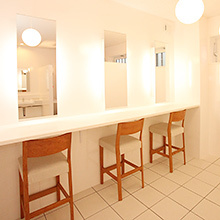 A makeup area is included in the ladies’ room on the second floor. 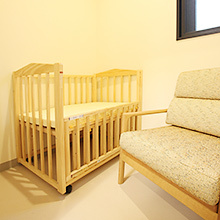 A nursing room and diaper changing bed are provided on the first floor. 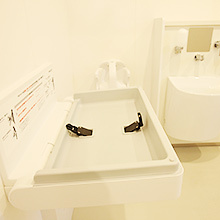 The shop is built to be convenient for ladies as well as families with small children. We would like to make it a wonderful shop that everyone can enjoy visiting.